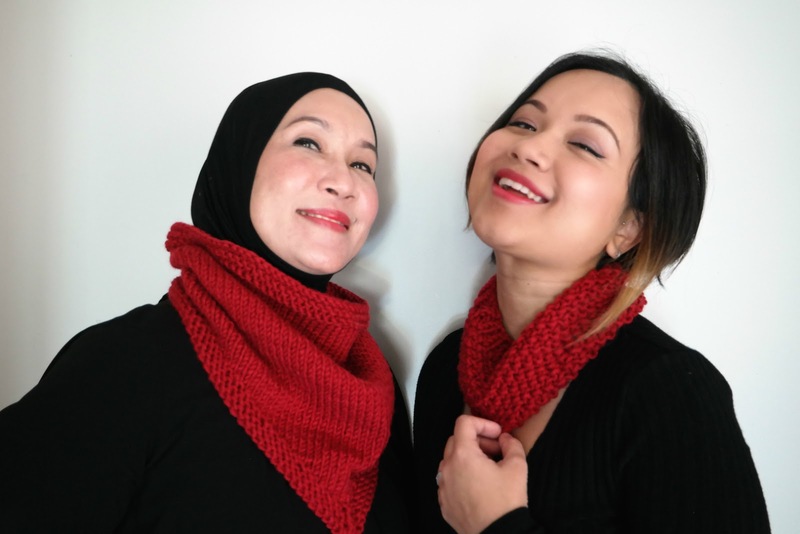 The Diaries of a Glam Mama: Knitted: Matching Mum and Daughter Cowls! 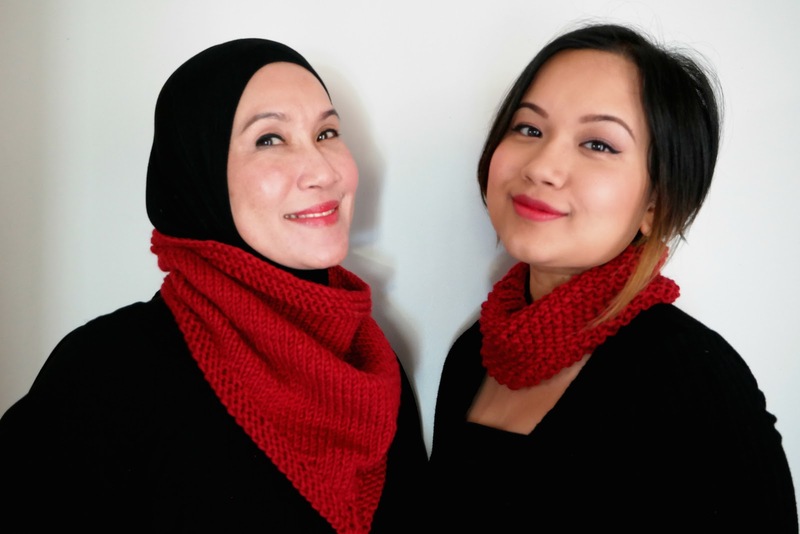 Knitted: Matching Mum and Daughter Cowls! I bought two balls of this Soho yarn by Fiddlesticks about a year ago, fully intending to use them to make something for my mother. It's the perfect shade of red for her - deeply saturated and almost maroon in some light. The sheen of the wool and acrylic blend makes for a luxurious look. And of course, being machine-washable makes it easy care! 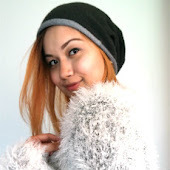 For the longest time, I planned on making some kind of hat or beanie. But after browsing through Ravelry and Pinterest for months, I still hadn't found a pattern that resonated with me. So then I decided to change my plan and make something else instead. Seeing as how I only had two balls of the yarn, my options were quite limited! 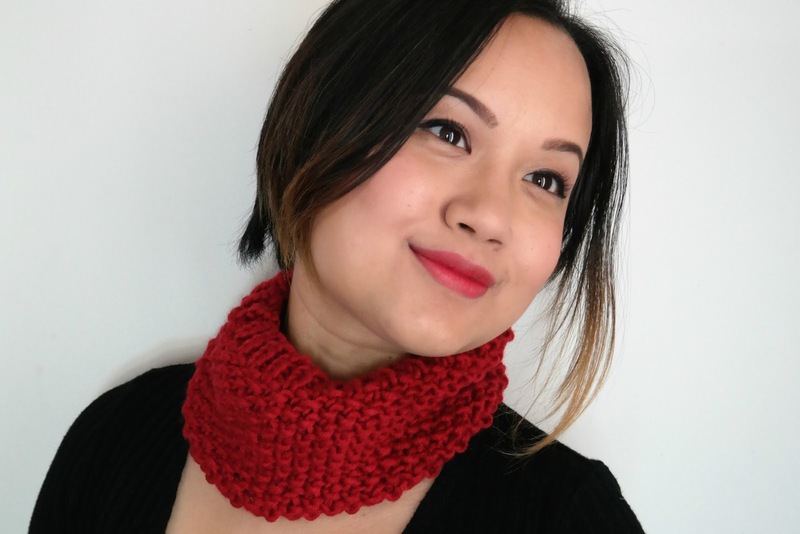 Luckily, the pattern for Purl Soho's Bandana Cowl came up pretty early on in my new search (Ravelry page HERE, web page HERE). 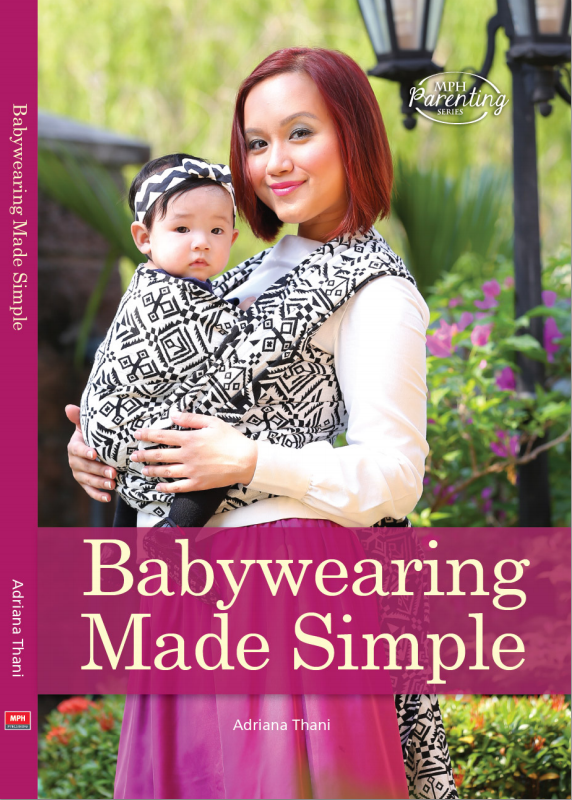 It's available for free and is super easy too! 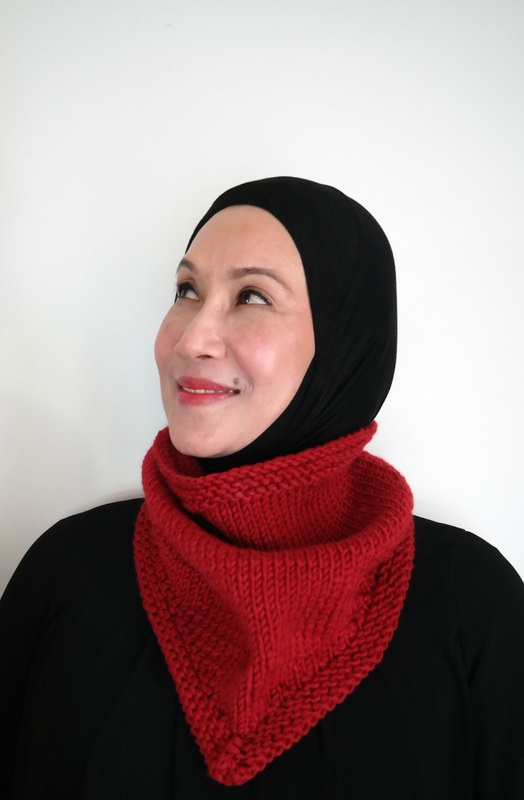 It's knitted in the round, but there's a fair bit of "flat knitting" due to the large amount of short rows hat make up the bandana shape of the cowl. Still, knitting in the round meant that there were no seams, which is a big plus in my book! 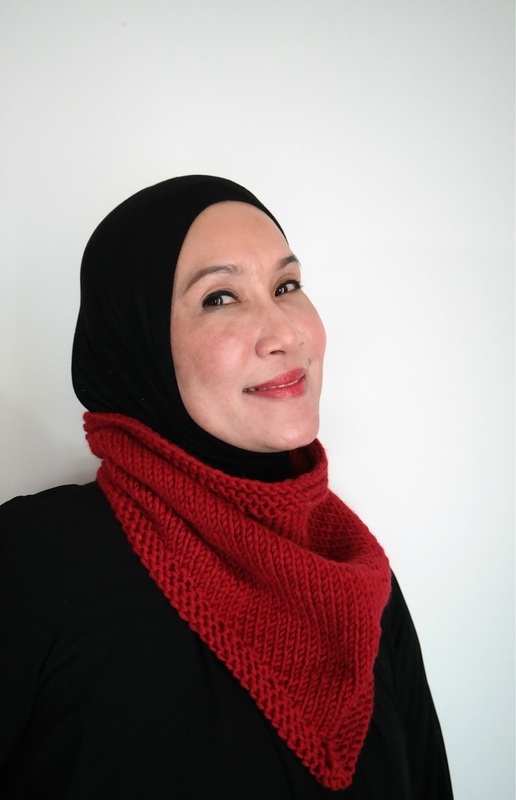 I did make sure to use a bigger gauge to account for my mum's hijab, and probably made it a little too big, but it still looks good. After completing my mum's cowl, I still had a small amount of yarn left. 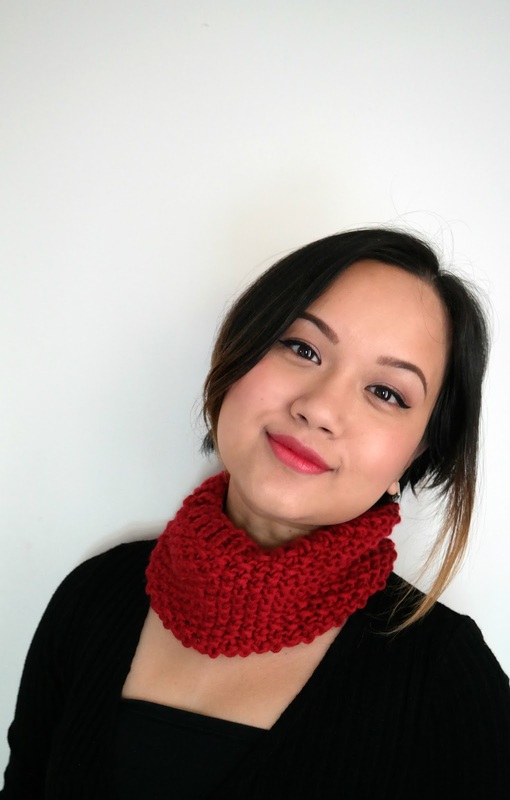 I knitted up a super quick seed stitch cowl with the balance. I didn't use a pattern - just used the gauge of my mum's cowl to estimate how many stitches to cast on for mine (bearing in mind that seed stitch is wider so there would generally be less stitches per inch). The cowls turned out so well, and my mother flew in for a quick visit around the time of Aqil's Birthday (he's 10 now, can you believe it??) 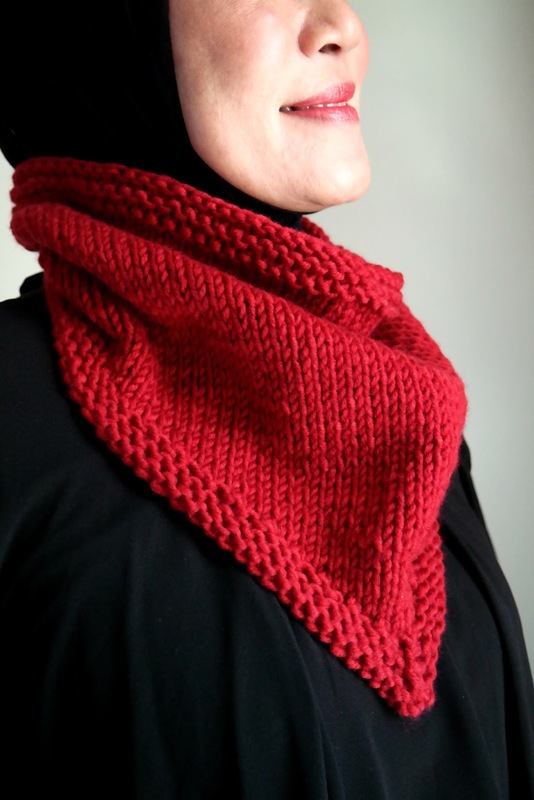 so we managed to take some photos of our matchy-matchy cowls. 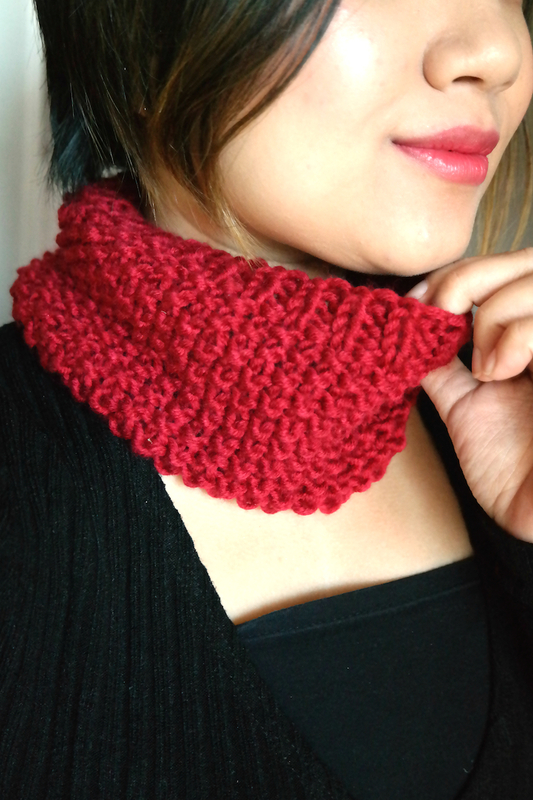 The cold weather here has me making cowls non-stop for the whole family. I'll share the older boys' matchy-matchy cowls next!